For 2016 I think we all want to see the Jays with guys at every position who could be the best in the game at that position. Especially with the pitching issues. So where do we see it and where could the Jays use a Tulo upgrade? Posted by John Northey on Tuesday, November 17 2015 @ 03:29 PM EST. Posted by Magpie on Sunday, November 15 2015 @ 02:20 PM EST. Not a shock to anyone, but David Price is one of 3 finalists for the Cy Young and Josh Donaldson is one of the top 3 for MVP. Posted by John Northey on Wednesday, November 11 2015 @ 12:01 PM EST. Traditional winter activities have always included arguing about the Hall of Fame. Posted by Magpie on Monday, November 09 2015 @ 08:11 PM EST. The new boss at his introductory presser. Items of interest: 1) Tony LaCava is the interim GM; 2) he's not wedded to the five-year limit, says he can envisage longer deals for a player in the right circumstances. Doesn't believe in absolutes. Said all the right things, as you'd expect from an experienced pro, and expressed a lot of enthusiasm. Posted by Magpie on Monday, November 02 2015 @ 02:41 PM EST. Posted by Magpie on Friday, October 30 2015 @ 06:56 AM EDT. OK. Now we can start talking about the off-season. Posted by Magpie on Saturday, October 24 2015 @ 12:05 PM EDT. It wasn't the best of times, it wasn't the worst times. It was just like all the other times. It was pretty irritating, to tell you the truth. Posted by Magpie on Wednesday, October 07 2015 @ 07:00 AM EDT. It's nice to finally be invited to the dance. Posted by Eephus on Tuesday, October 06 2015 @ 10:36 AM EDT. Where do the 2015 Toronto Blue Jays stand in team history? It has been a great regular season. To be able to ask the question, "was this the best Blue Jay regular season in team history? ", without gales of laughter ensuing is a rare treat. So, let's do it. With some statistics and some flights of fancy. Posted by Mike Green on Monday, October 05 2015 @ 05:15 PM EDT. You may have heard some worry expressed about the Taylor Swift effect - how bad things happened to Washington, San Diego, and Houston after the 1989 tour came to town. Posted by Magpie on Friday, October 02 2015 @ 06:11 PM EDT. 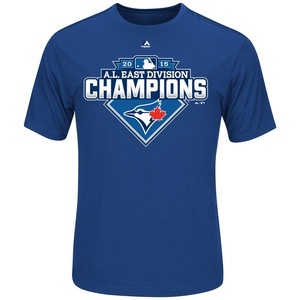 The Toronto Blue Jays - 2015 AL East Champions! It is with great pride and pleasure to start a thread that has been a long time coming since Batter's Box appeared on the internet scene in 2002. 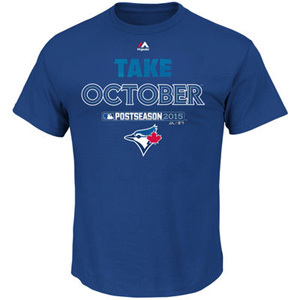 Ladies and gentleman, boys and girls, your 2015 American League East champions - the Toronto Blue Jays! Posted by #2JBrumfield on Wednesday, September 30 2015 @ 07:26 PM EDT. One of the true legends of the game is gone. Posted by Magpie on Wednesday, September 23 2015 @ 02:27 AM EDT. The excitement in Toronto is at a fever pitch as the Blue Jays return home for their final regular season homestand of 2015. Posted by #2JBrumfield on Friday, September 18 2015 @ 05:02 PM EDT. Help make the 13th annual survey a success by providing your opinion on fielders. Posted by TangoTiger on Tuesday, September 15 2015 @ 07:15 PM EDT.